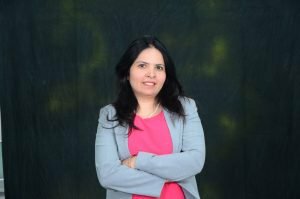 March 9, 2017: Here we feature Neeru Mehta, Vice President, HR, GlobalLogic as she shares her thoughts on how to keep women professionals engaged. Given today’s dynamic and complex business environment, organisations have comprehended that in order to stay relevant they need highly engaged employees. It is imperative for companies to build a representative employee pool both from a business side as well as to be seen as a ‘go to brand’. One area which has garnered recent attention is the increase in the percentage of women throughout a company, but more especially at senior levels of the organisation. Therefore companies need to understand that women professionals place a high priority for them. Work Life Integration: Enabling a work environment where women can integrate their personal and professional priorities has always been a challenge for women professionals no matter what level they are at. Organisation that foster a competitive but flexible work environment can help women achieve this integration without sacrificing one for another. Everyone talks about work life balance and flexibility, however to make a female employee engaged, a company needs to make flexibility ‘work’ for them. Support during important milestones of life: Apart from having female friendly policies and processes during a woman’s transitions in life like marriage, becoming a mother and so on; when a company provides their female employees with flexible options and provisions to suit their life is what motivates them to stay longer. Giving a woman the freedom will not only keep her engaged at work but will also keep her engaged with work. An engaged female employee can be a big asset to the organization. Allowing women employees to take breaks /sabbatical to prevent health issues and so on can make employees happy and better at their jobs. Health and wellness initiatives Women are multi taskers and are good at it. However, with the limited time they have, a workplace that brings wellness and health to them will be valued more, than someone just running a policy for them around it. For overall well-being through lifestyle assessment checks, stress management sessions through yoga, sessions on breast and cervix cancer, thyroid tests, gynaecological problems, tax, dental and more show that an organisation cares and can do more than expected to keep their female employees fit and stress free. Overall wellness and life coaching is as important as career coaching for a female employee. Mentoring & Coaching Programs is another way to provide women with tools and skills to excel in their role and to grow in their career. After a certain point or at senior management level, you typically observe that the women numbers start thinning. Women need to be coached at all such transition milestones and leapfrog to the next level. Companies and leadership need to be committed to gender diversity at all levels to keep their women engaged. Overall, while it is challenging work that keeps a female professional engaged, job security, in office engagement and that extra mile of work life balance might really make it work for an employer. It is important to empower women in your workforce to help them improve their representation in all walks of life, to demonstrate that women have the power to choose and define themselves, not only when it comes to managing the family but also in selecting their career path.